Fractured teeth, cracked teeth, or chipped teeth all have one thing in common. 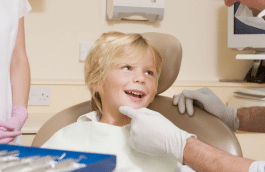 Something happened to a tooth and it needs to be evaluated and repaired by your family dentist. A tooth in this condition will have different treatment recommendations depending on the severity of the missing tooth structure. 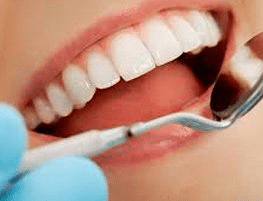 Even if this condition that you experience does not cause pain, you should still have this evaluated as soon as possible to prevent more damage (even if you are entophobic, that is, are frightened of going to see your dentist). A cracked tooth can involve any of the the three layers of a tooth. The first layer is the enamel. This layer of missing tooth structure may or may not cause pain. This layer is very important to keep intact because decay can occur faster once the enamel is missing. The second layer of the tooth is the dentin. This area when exposed from a fracture is important to repair because this layer covers the nerve of the tooth and pain will occur eventually if it has not started already. 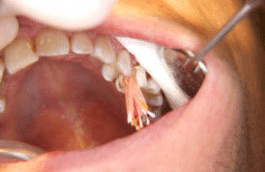 The third layer of the tooth is the pulp of the tooth. This is where the nerve lives and if this area is violated then a root canal will be needed to save the tooth. 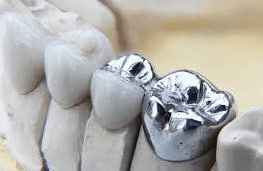 Cracked tooth syndrome is a situation where trauma occurs to a tooth and a crack is created that goes into the second layer of the tooth and it causes pain when pressure is applied to the tooth. The pain may be present only at some times and not at other times. The crack may not cause the tooth to be cold sensitive or the tooth may be very cold sensitive. 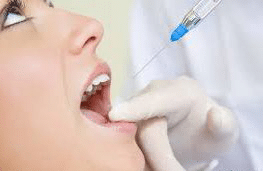 With this situation people normally will experience a sharp shooting pain that occurs after pressure is placed on a tooth. After pressure is released the fractured area then allows for the tooth to hurt and most times this is severe pain. 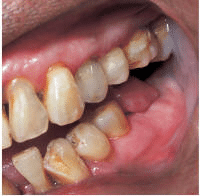 This syndrome is very hard for most dentists to diagnose. A fracture of this kind does not show up on an x-ray and it can’t be seen when looking in the mouth most of the time. Many people have small crack lines in their teeth and do not even know about it. 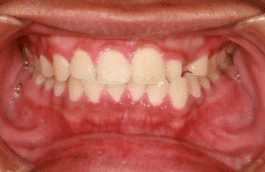 There are some dentists that see these crack lines in teeth and recommend crowns for these teeth even though these teeth have no signs of pain. Teeth with superficial cracks in them may fall in the category of ones that should be watched. If symptoms of discomfort become present, if the x-ray of this tooth shows a problem, or if part of this tooth chips away, then the dentist should recommend some treatment to correct the problem related to the diagnosis. Biting on a pen at work is a bad habit. Getting hit in the mouth with a flying object of some sort is bad luck especially when it chips your tooth. A chipped tooth that only enters into the first layer of the tooth is something to still get fixed. 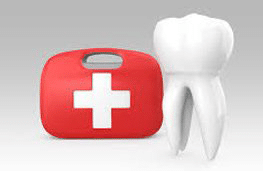 Tooth decay causes a weakening of tooth structure. This weak tooth structure does not need much force after decay sets in to invite a piece of tooth to fracture off. 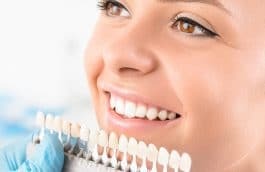 A decayed area often times is a silent problem with no pain or swelling and it is only discovered during a dental exam or when a piece of tooth structure fractures off.